NZBPlanet is one of the most renowned NZB websites in existence. It has been in the Usenet Community since 2012. It is an automated Usenet NZB platform that works on the Newsnab technology. 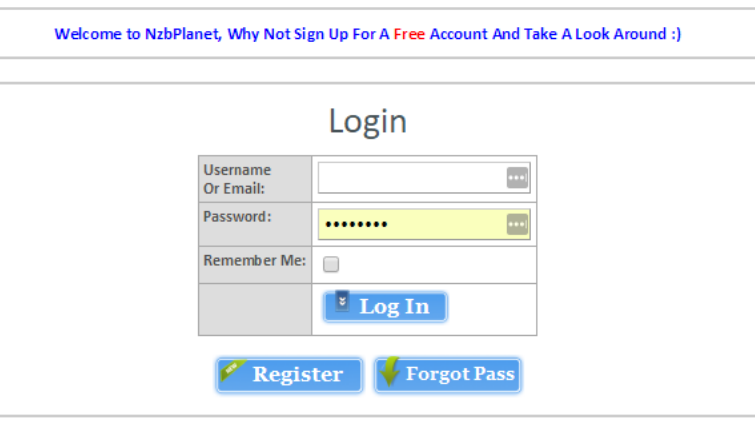 NZBPlanet depends on members to drive the quality of the website since it is a community based NZB forum. NZBPlanet is different from automatic engines like Binsearch. It relies on members to drive the quality of the site and in turn build a community around the site. From observation so far the site is growing swiftly and earning high ranks. Its astronomic popularity can be attributed to the fact that it is a freemium indexer with a handful of “VIP” features that can be accessed after paying a yearly $8 fee. Registration with an email is required. It is a top choice for users because of the limited free membership it provides. You will need a Usenet Service Provider with your NZBPlanet Account. We recommend Newshosting as your Usenet Service Provider. You can use NZBplanet for free with some limitations. The major limitation is that you only have access to download 10 NZBs a day. 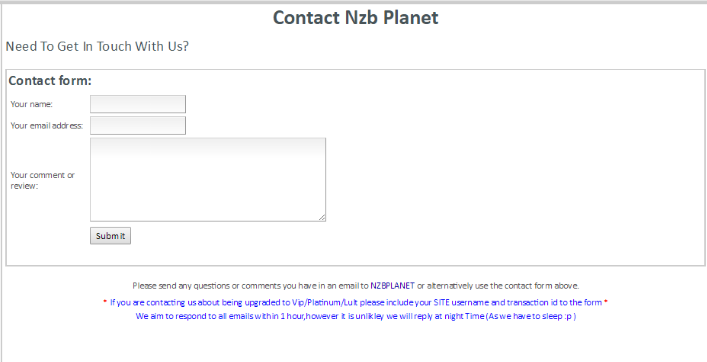 However, with a premium (VIP) membership you can download unlimited NZBs along with API key and VIP only forum access. NZBPlanet.net lists files that are stored in Usenet newsgroups. So, when you search for something on NZBPlanet, you get an NZB file which is a list of links to files on Usenet. They don’t host any files themselves. So, one needs an account with a Usenet Newgroups provider like UsenetServer to have access to over 3,195 Days of Retention. NZBPlanet is an indexer and should not be confused for a Usenet provider or newsreader software. Both of which you will need to download from Usenet. NZBPlanet will help you find what you are looking for across millions of newsgroup posts without the need for downloading headers. We recommend Newshosting as your Usenet Service Provider of choice. There are two types of NZBPlanet memberships; the free membership and premium membership. If you want to have a feel of how the system works, or looking for minimal content, the free membership is a great choice for you. The free membership is limited to 10 NZBs per day and has a retention of just 200 days and doesn’t feature API calls at all. The VIP account is the premium membership for NZBPlanet and priced at $9 per year. This is ideal for real users and it is the most popular membership. With the VIP membership subscription, you are provided with unlimited NZBs daily and have access to 5 invites. Other important feature of the VIP membership are access to 5000 API daily calls and over 2,000 days of retention. Member of the Platinum membership enjoy all the VIP features and additionally features 20,000 API calls daily. Due to pressuring demand from its users, NZBPlanet is planning to add another membership type known as Lifetime Membership. When the Lifetime Membership is launched, interested members will pay a one-time fee of $80. They will get unlimited downloads daily like the VIP membership. They will get additional 35 invites, making 50 invites. One cool thing about NZBPlanet is its API integration. The API integration allows developers to access and index NZB data by integrating API services into their applications. The indexer is compatible with Sickbeard and Couchpotato as well as a handful of other NZB apps, making it one of the best indexer. To get started with NZBPlanet, you need an NZB app and need to open an account with Usenet news group. Simply search what you are looking for on the dashboard using a keyword or key phrase on the Usenet Search. The search will load many files, from which you can get the NZB file by clicking the NZB icon. Then you can download the NZB and open the newly created NZB file in your favorite Usenet client to download the contents. NZB content can be ebook, audio, video, magazine, TV clips and much more. You can store your NZB into your computer. After saving the file, you are done with NZBPlanet. You will then import your NZB into the client software. For indexers like NZBPlanet, your security is paramount. In the past, there have been security issues land bug. You want an indexer that can guarantee your privacy and security which NZBPanet provides for you. NZBPlanet service is behind CloudFare and additionally, it uses SHA-1 SSL certificate to tackle security issues. To see recent discussions by members, check the recent post. You can enjoy general chat and meet other members of the site at the Community. If you are inquisitive or seeking for guidance, the forum will prove very helpful. NZBPlanet is a renowned NZB indexing-service website with massive number of satisfied users. It is community based because it depend on the members to drive quality to the website. It is most popular for its premium features such as great retention and built-in calendar that shows upcoming releases. It is very easy for members to upgrade from one level of membership to another paying through bitcoin. Being an experienced indexer in the industry with 5 years and tons of positive reviews posted by users, there is no doubt that it is a top indexer. It is an excellent choice of indexer for NZBs. Copyright © 2018 Newsgroups.com. All rights reserved.